The Indian Navy On Tuesday began an eight-day-long mega naval exercise along with leading maritime powers of the region at the Andaman and Nicobar Islands, amid heightened regional tension in the region. The MILAN-2018 is the tenth edition of MILAN Exercise. The exercise is being hosted by the Indian Navy under the aegis of the Andaman and Nicobar Command. Milan is a multilateral naval exercise hosted by the Indian Navy under the aegis of the Andaman and Nicobar Command. The biennial event is held in the Andaman and Nicobar Islands, and features professional exercises and seminars, social events and sporting fixtures between participating nations. Milan was first held in 1995. Apart from the Indian Navy, the navies of Indonesia, Singapore, Sri Lanka and Thailand participated in the inaugural edition. This edition of Milan will be held at Port Blair from 6-13 March 2018 and will witness the participation of navies from 22 foreign countries – Australia, Bangladesh, Brunei, Cambodia, East Timor, Kenya, Indonesia, Malaysia, Mauritius, Mozambique, Myanmar, Oman, New Zealand, Papua New Guinea, Philippines, Seychelles, Singapore, Sri Lanka, South Africa, Tanzania, Thailand and Vietnam. The biennial exercise — Milan — is taking place in the backdrop of imposition of state of emergency in the Maldives and Sri Lanka, two of India’s maritime neighbours, and China’s growing assertiveness in the region. Indian Navy officials said 28 warships including 17 from India and 11 from Australia, Bangladesh, Indonesia, Malaysia, Myanmar, Singapore, Sri Lanka and Thailand are participating in the exercise. The aim of the 10th edition of the exercise is to expand regional cooperation and combat unlawful activities in critical sea lanes. The Maldives, which is reeling under political crisis, has declined India’s offer to participate in the exercise citing the current situation in the island nation. MNDF is unable to participate in the naval exercise #MILAN2018 during this time due to the current circumstances mandating heightened stance of readiness as a State of Emergency is in effect. Besides the warships, the prestigious international event will also see the participation of 39 delegates from 16 countries, making it the largest gathering since its inception in 1995,” said a senior Navy official. Navy sources said delegates from the countries would deliberate on the regional security situation and subject of discussion may include China’s rising assertiveness in critical sea lanes. 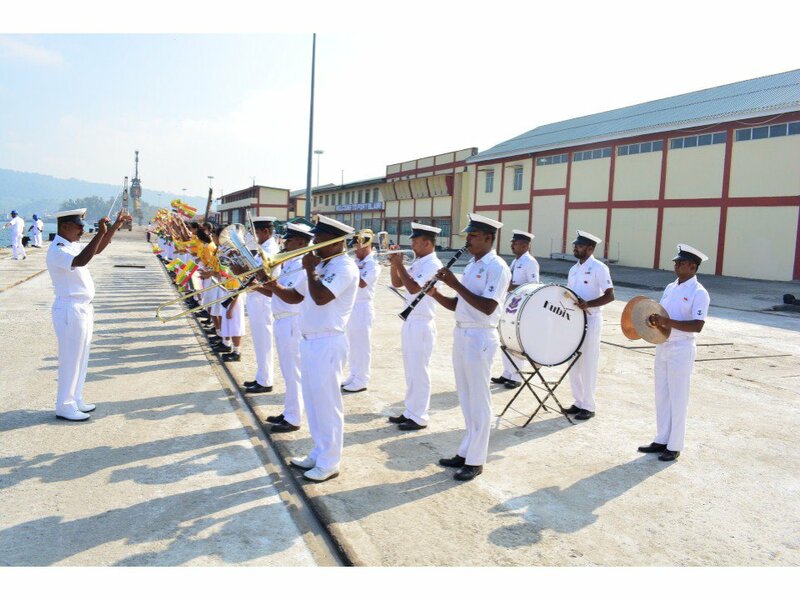 On their arrival at Haddo Jetty, all foreign warships were received ceremonially in the true naval tradition by the Army and Navy bands, the officials said. The Indian warships participating in the exercise include 11 ships of Andaman and Nicobar Command and six ships of the Eastern Fleet. “As part of this strategy, China is developing ports and other infrastructure facilities in the littoral countries in the Indian Ocean Region, including in the vicinity of India’s maritime boundary,” he said. – 2005 Postponed to 2006 due to the December 2004 Indian Ocean earthquake and tsunami. – 2016 Not held due to the International Fleet Review 2016.